Is your reading speed slow? Don’t worry, you can improve it using few softwares and online services. So how do these s work? They use a reading technique known as Speed Reading. Speed reading is the act of quickly absorbing written information. The goal is to read quickly but still retain comprehension of the material. There’s a competition known as World Championship Speed Reading Competition in which various readers compete. It says that its top competitors average around 1000 to 2000 words a minute! Oh boy! That’s a lot; I doubt I can even make it to 300. Well, reading 1000 words a minute but only understanding 10% of the text would not be effective while a comprehension level of 50% or more could very well be. 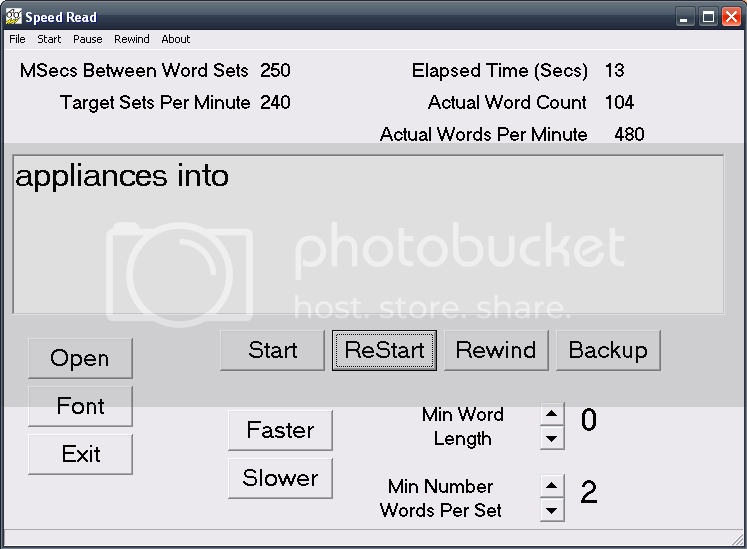 SpeedRead can read any text file and display the words sequentially. 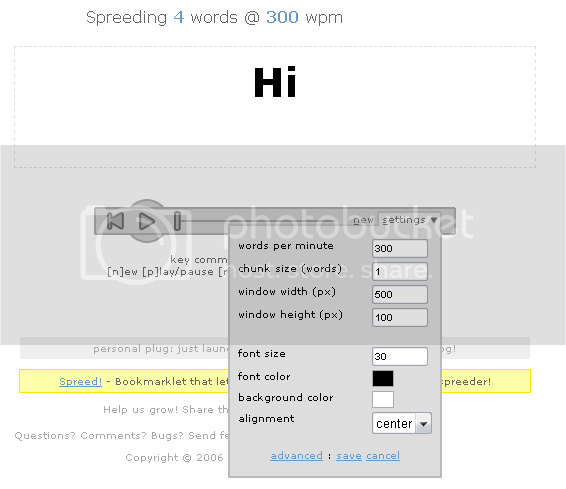 The user can adjust the rate at which words are displayed, the number of words displayed at a time, and the minimum number of letters to qualify a word. 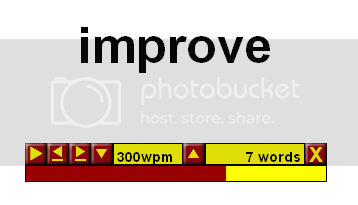 A performance counter clocks the actual number of words displayed, the total time and time between word groups. Learning to “absorb” small connector words like “and, the, but, to, etc”. Zap Reader is a basic online version of Speed Read. You can paste text into Zap Reader which displays one word at a time at the default speed of 300 words per minute. You can also change the speed and the word limit. Back word reading practice is another web based service which reverses each and every word in the text. For instance ‘Bizzntech’ becomes ‘hcetnzziB’. Reading isn’t easy when words are reversed. Try it out for yourself. It’s another online service which allows you to read a para after removing short words and full stops. This method actually helps the reader to understand the text deeply, usually while reading people don’t read the word by letters, but recognize it wholly. Since the words are mixed your reading speed increases but on the other hand you don’t understand their meaning, it’s pretty challenging, definitely worth a try.